The Harlem Jazz Series will host Jason Marshall on May 10, 2019 at 7 pm. Jason Marshall is a highly sought after and established fixture on the global music landscape. A rare specimen even among the highly competitive New York City music scene, the Washington D.C. born saxophonist can be seen playing soul music with Aretha Franklin, Latin jazz with Arturo O’Farrill, pop with Desi Di Lauro, avant garde jazz with the Charlie Mingus Big Band, and rock music with the Young Presidents. 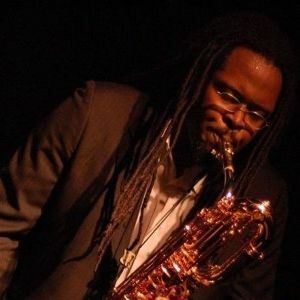 In addition, the graduate of the New School and Aaron Copeland School of Music can also be found performing weekly with the iconic NYC hip hop band, Nickle and Dime Ops, and with his own, The Jason Marshall Organ Trio in Harlem. Also a highly sought after composer and arranger, Mr. Marshall wrote and arranged the modern day classic “Miss Garvey, Miss Garvey! !” which was nominated for a Grammy in 2009. He has also written and arranged music for the Taipei Jazz Orchestra and the New Orleans Jazz Orchestra. His work for large ensemble can be heard most regularly performed by his critically acclaimed orchestra, the Jason Marshall Big Band. The jazz orchestra will release its debut album Order of Magnitude this fall.